I’m not averse to printing a map at all, and the map files I’ve seen are indeed waaaay better. Truth is I just recently purchased the 1940 games and would like to get some use out of them before I abandon them for the master map. And will definitely look for the sticker paper my next trip to wallyworld. Thanks for the suggestion DK. @LHoffman: Personally, I like the idea of having that area all around the board for all players to use. The good thing about not having made a table yet is that you can steal the best ideas from everyone else and incorporate them into your own. Yes, that’s the nice thing about having a discussion forum where people share the result of their customization projects: it not only motivates people to try projects of their own, it also provides lots of ideas on which to drawn (sometimes including hard-won knowledge derived from failed experiments). 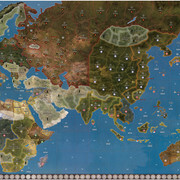 I have some pictures of my table in this thread: http://www.axisandallies.org/forums/index.php?topic=32700.0 The photos which best show the side wings are titled 1 Left Table.jpg and 4 Right Table.jpg. 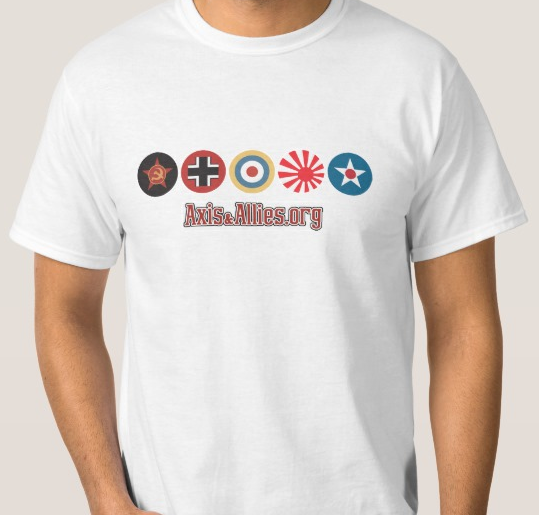 I’m looking for digital mapmakers and digital publishing enthusiasts to help me develop a new map and professional-looking set of rules for an Axis & Allies homebrew set of rules. Any takers? The Keep: A&A game storage! @MrRoyboto: (My apologies for the non-linkable links. For some reason the forum won’t let me embed links.) Probably that you don’t have enough posts. I would be curious to see photos of these Bit Pits with A&A pieces in them. Also the Magic Chamber with dividers and A&A pieces in them. Also how many Bit Pits will fit into a final sized Magic Chamber? Does each side have a lid?